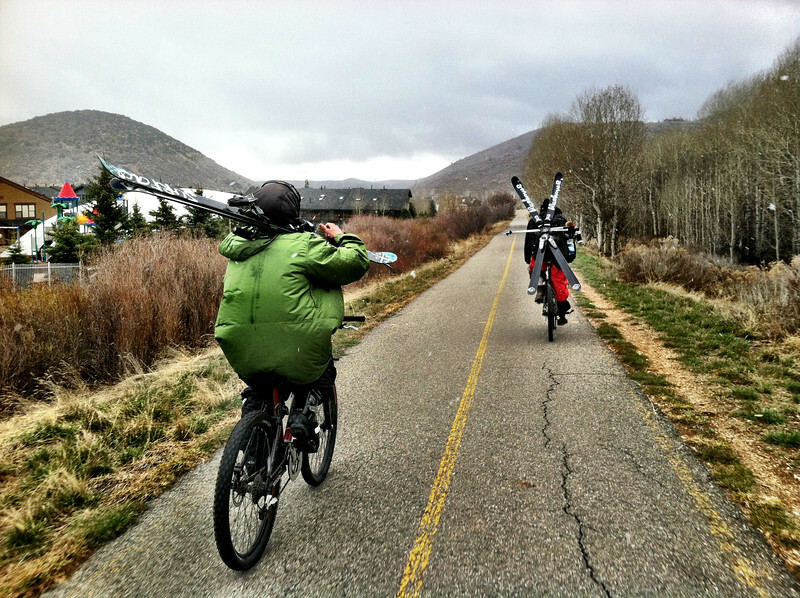 Local skiers occasionally use the Rail Trail to travel to the nearby Park City Mountain Resort. The Historic Union Pacific Rail Trail runs 28 miles from Park City, UT north to the Echo Reservoir through Coalville. The rail trail follows the path of I-80 and is also a state park. The beautiful trail is set amongst the snow-capped backdrop of the Wasatch mountain range. In the summer time the trail is popular with bicyclists and walkers and provides a great starting point for accessing many of the nearby trails. The trail is also open for equestrian use. In the winter time the trail is used mainly by snowshoers and cross-country skiers. The rail trail was funded by six separate TE projects. The projects occurred in 1992, 1994, 2001, 2005, 2008, and 2009 and received a total of $1.13 million in TE funding. Another $502,000 was contributed as the local match. The 30% local match contributed to these projects helped to design, acquire, and pave the trail. The trail is primarily crushed stone but is paved near Park City and Wanship. The rail trail is maintained by the Mountain Trails Foundation The trail will serve as the backbone to the Wasatch Loop Trail. The Wasatch Loop trail will create a loop connecting South Ogden, Park City, Heber, Provo, Salt Lake City, and many of the sounding areas. For more information on the trail contact the Historic Union Pacific Rail Trail State Park at P.O. Box 754, Park City, UT, 84060-0754 or call the park at (435) 649-6839.